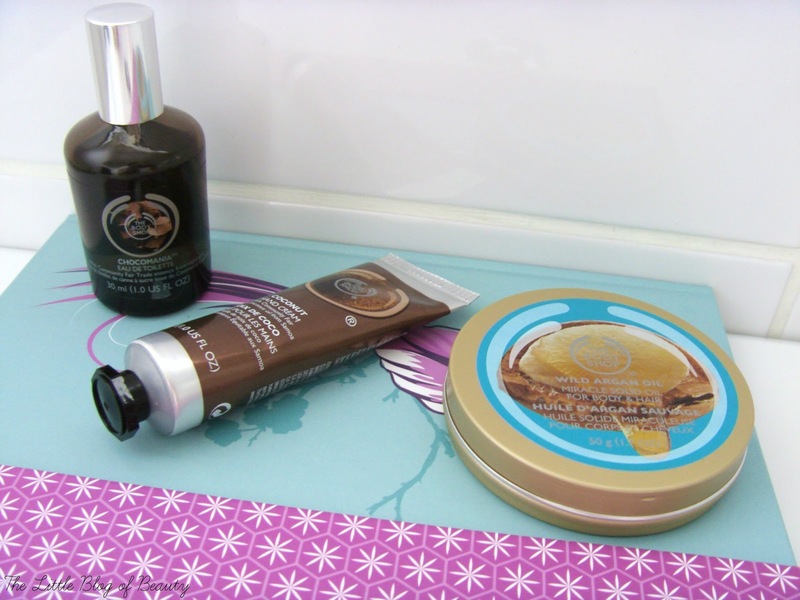 I'm sure you may have noticed that I've become a bit of a fan of The Body Shop recently. I hadn't really bought anything from The Body Shop since I was a teenager when I used to buy products from the Fuzzy Peach range, a range that is long, long gone! I'm not sure which product was my first purchase after all those years, but whatever it was it obviously impressed me as I keep going back to try more. As I was quite early for the cocktail master-class that I blogged about in my last post I decided to nip into The Body Shop and managed to pick up a bit of a bargain. The Wild Argan Oil range is The Body Shop's newest range having only been released on, I think, the 13th August. I did take a look at this a few days before but was disappointed to find out that you can't actually use any offers on this range at the moment. I never pay full price for any product from The Body Shop (there's no point when they always have such great offers), but I decided I just had to try the Wild Argan Oil Miracle solid oil as soon as possible. When I did go to buy this I discovered that actually you can use your Love Your Body discount, so I did at least get 10% off this. I've had my eye on the Chocomania Eau de Toilette for quite a while now and I decided it was time to treat myself. When I got to the counter I discovered that as well as being able to use my Love Your Body discount on both items it was also my fourth in-store purchase meaning I was entitled to a £5 free gift. I'd also had my eye on their new mini sized hand creams so I decided to add a Coconut Hand cream. I thought these were £5 each but I them discovered that they're actually £3.50 and because there was some kind of buy one get one half price deal that included the EDT and hand cream I actually got it for just £1.75. So my free £5 got me this free but then also deducted £3.25 from the rest of my bill. So my purchases that should have cost me £20 were just £11.60. Reviews of each of these products will of course follow shortly. Must try the Chocomania scent!